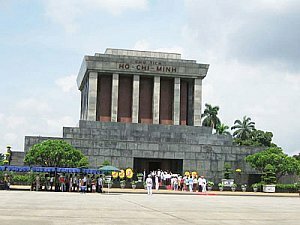 On the morning of day 2 we take a city tour to Ho Chi Minh complex, his house on stilts and the museum and One Pillar Pagoda. We also make a visit to the Temple of Literature – the first university of Vietnam, which is now dedicated to Confucian worship and “Hanoi Hilton” –a nick name given by US pilots during the war. In the afternoon our guide will pick you up for a short walk to Cat Cat Village, set in a beautiful valley just outside Sapa. Cat Cat is home to the H'mong people who originated from China about 3,000 years ago. 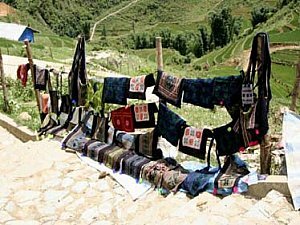 The H'mong people are easily recognisable by their dark blue or black clothing, dyed using the juice of indigo plants, which are native to the area. 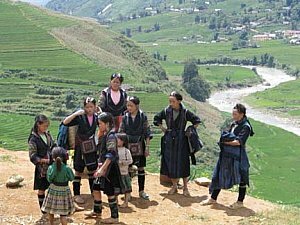 H'mong women wear long aprons with embroidered waistcoats and have their hair rolled up into a turban-like hat, while the men wear black skullcaps, long waistcoats and loose trousers. The remainder of your day is at leisure to explore this fascinating hillside town. In the afternoon we depart for the Lao Cai train station. We have dinner here before boarding the train back to Hanoi. 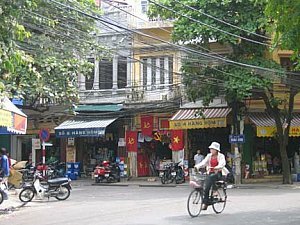 Early arrive in Hanoi by 4:30 am, our representative will welcome you and transfer to your hotel for breakfast before going to Halong Bay. You are collected at around 8.00am for the 4 hour drive to Halong Bay. En route there will be a short stop at the Sao Do centre run for and by handicapped children. On arrival we board our Chinese junk for a day cruise, this traditional wooden sailing junk boat offers a unique way of navigating the limestone karsts of Halong Bay. Once settled in, you start your cruise round the majestic Halong Bay while enjoying a delicious lunch. 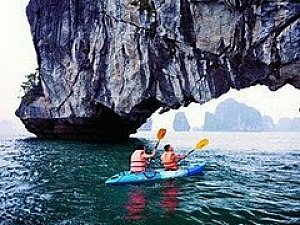 After lunch you have the chance to explore some of the limestone caves dotted around the bay. Then, the captain will find a secluded spot where you can swim and kayak in the clear water of the bay, soak up the sun on the top deck. In the late afternoon we sail to Cat Ba island We get picked up and transfer by car to the town, we stop on the way at the Cat Ba national park for a short walk in the park. Located in one of the most beautiful parts of Vietnam. With its dramatic scenery, historical intrigues, Ninh Binh is an ideal base to venture out on short small day trips. Our excusion kicks off after lunch with a rowing boat trip for 2 hours on Ngo Dong river, crossing beautiful rice paddy and through mountain tunnels of Tam Coc. This is an ideal place for natural lovers. Leaving the river, we move on to Hoa Lu ,the ancient capital of Vietnam (968-1009) with two temples of two Kings. The trip offers spectacular scenery with opportunity to meet a host of smiling children a long the way. After lunch at a local restaurant in Ninh Binh, we jump on our van for a 3 hour drive back to Hanoi, we arrive in Hanoi around 5pm. Today is your departure, you are free at your leisure until transferred to Noi Bai airport for the flight home.